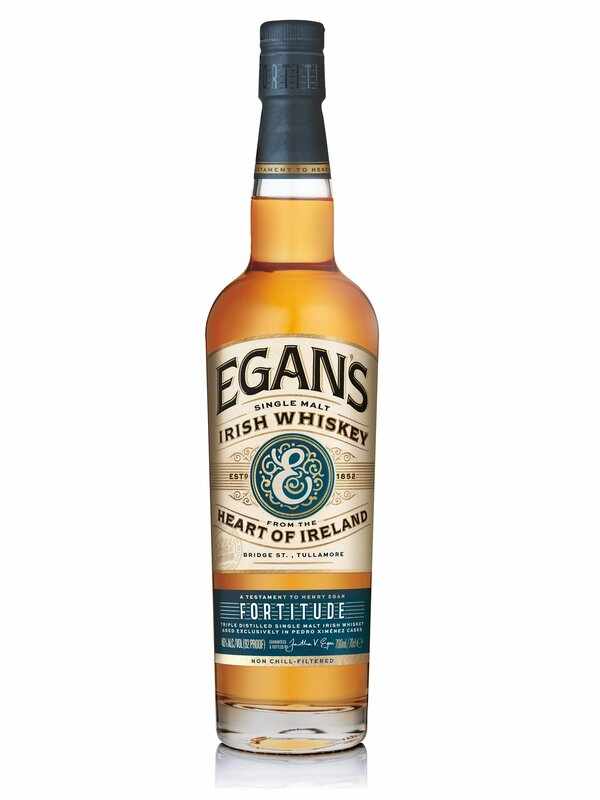 The Egan’s Irish Whiskey brand was revived in 2013 (see releases here and here), and the company is pushing boundaries with the release of Fortitude, a single malt Irish that is — bizarrely — matured fully in Pedro Ximenez sherry casks. (The whiskey does not carry an age statement.) Egan’s says this is the only Irish whiskey to be aged in this way, and I believe it. PX sherry casks are renowned for the intense, brooding flavor profile they provide, which immediately seems at odds with otherwise delicate Irish whiskey. But maybe Egan’s knows better than me. Let’s find out. The nose immediately bears out my initial suspicions. You wouldn’t have a clue this was Irish whiskey, based on a nose that is overloaded with heavy, old sherry notes — not the sweet citrus you get with oloroso sherry maturation. The aroma is big and leathery, heavily woody with notes of old wine, toasted nuts, and plenty of meat, making for the least Irish Irish whiskey I’ve ever encountered. The palate doesn’t stray too far, offering an intensely savory note, though it is at least cut with some elusive fruitiness. Even this is unusual, with notes of fig and green banana leading to notes of almond nougat and tea leaf. Tobacco is more prominent on a finish that is nutty, smoky, and woody/toasty, with those old, oxidized wine notes continuing to linger. As I attempted to process all of this, I found myself quite unsatisfied by the experience, the PX cask being just far too overpowering for the underlying single malt. It’s possible that a mix of Pedro Ximenez and Irish can be done successfully — but perhaps a brief finish is the answer, not a full maturation in this heavily flavored wood. Just a hunch. BOUGHT A BOTTLE…….. FOUND IT AMAZING AND DISTINCT…….